This frozen custard is like silky raspberry clouds, I love it! I’m definitely going to be adding it to the ice cream recipes rotation list. 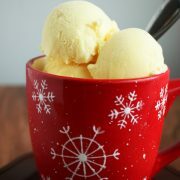 If you don’t have an ice cream maker there is no better time to buy one than now =). I use mine about every week and sometimes more. To me it’s a kitchen necessity. I purchased the cuisinart 1 1/2 quart ice cream maker several years ago and it has gotten more than it’s moneys worth. 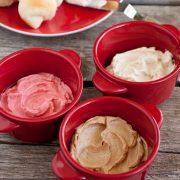 I bought mine from Williams-Sonoma because it came with an extra freezer bowl which has actually come in quite handy when you want to make two different flavors of ice cream. 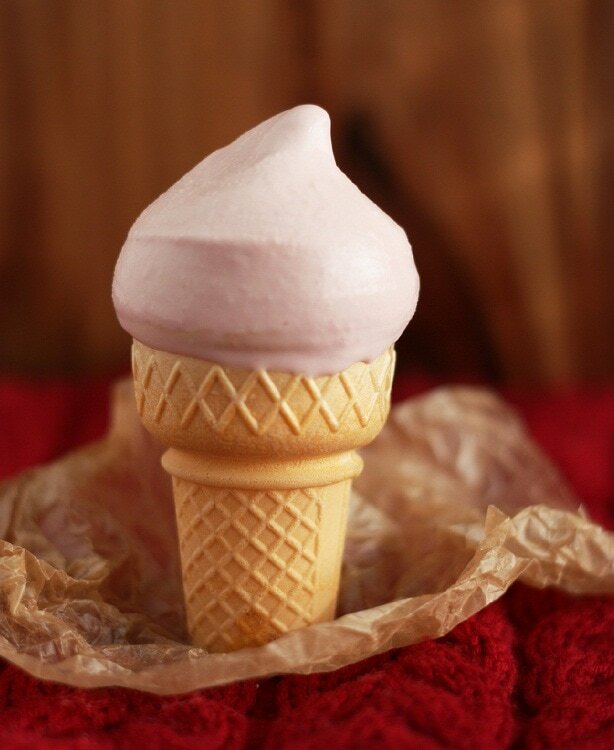 One of my favorite flavors of ice cream is raspberry. Since I make ice cream so often I experiment with different flavors and ingredients. 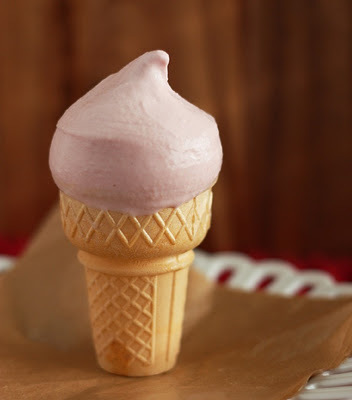 I came up with this recipe because I didn’t have any fresh or even frozen raspberries on hand, but I was craving raspberry ice cream and all I had was raspberry jam. I love that this recipe uses jam because it’s already ready to go, no need to puree berries. I used raspberry freezer jam that I made this past summer (for the most incredible raspberry freezer jam ever try out this recipe from Sure Jell). Who knew the less sugar recipe would make better jam? It’s the best jam I’ve ever had. This is also some of the best frozen custard I’ve ever had. It’s so smooth and dreamy, and you would think it was made with fresh raspberries! Too bad every bit of it is now totally gone, it went quick =). Rich and vibrant raspberry custard, so refreshing! Combine cream and milk in a medium saucepan, and bring the mixture just to gentle boil over medium heat. Meanwhile, in a mixing bowl, with an electric hand mixer on medium speed, whip together egg yolks and sugar until very smooth and light in color about 1 minute. Once cream mixture has reached a low boil reduce heat to medium low. Measure out 1/2 cup hot cream mixture. With the mixer on low speed, slowly pour the 1/2 cup hot cream mixture into egg yolk mixture. Once thoroughly combined, pour egg/cream mixture into saucepan with hot cream/milk mixture and stir to combine. Cook over medium low heat, stirring constantly until mixture coats the back of a wooden spoon, about 3 -4 minutes. 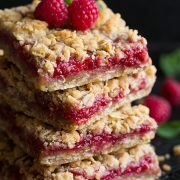 Remove from heat, stir in raspberry jam, raspberry extract, vanilla extract and optional food coloring. Pour mixture into a bowl, cover with plastic wrap, pressing plastic wrap directly against the surface of the custard to prevent a skin from forming. Cool completely in the refrigerator. Once completely chilled transfer bowl to freezer and freeze mixture 1 hour. Pour lightly frozen mixture into an ice cream maker and process according to manufacturer directions. Pour custard into an airtight container and freeze 1 -2 hours until slightly firm (the frozen custard I'm used to is similar to soft serve but thicker). Kathy: I think you just prompted me to go out and look for an ice cream maker!